The Official App for iPhone & iPod Touch - Out Now! As seen on television, Fairyland is a magical place inhabited by Fairies Harmony & Rhapsody, Barnaby the Bizzy Buzzy Bee, Elf the Fairy Cake Maker and Wizzy the Wizard as well as a host of other friendly characters who explore their magical land, often while singing and dancing. 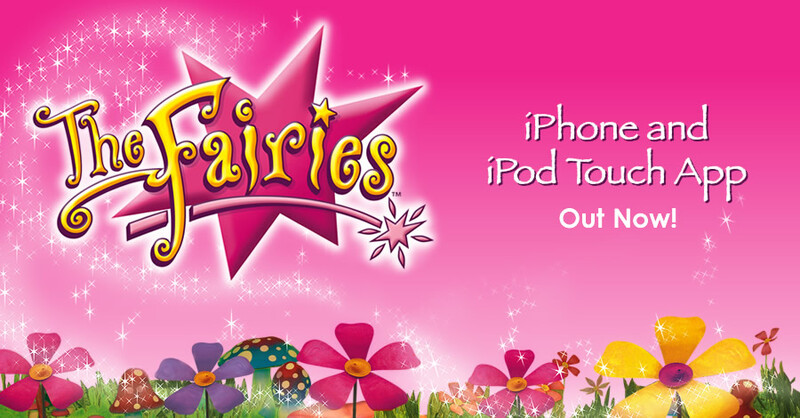 Now you can have The Fairies on your iPhone or iPod Touch! Children will love to sing and dance along with their Fairyland friends as they watch the video and to browse through a photo album of over 40 photos. They can even wave fairy dust around and play with the cute butterflies as they get lost in the fan-fairy-tastic fun that is The Fairies. So wave your wand and surprise your child with The Fairies app today. © The Fairies 2009. The Fairies name and logo are trademarks of The Fairies.